PestFax is an interactive reporting service delivered by DPIRD, providing risk alerts, current information and advice on pests and diseases threatening crops and pastures throughout the grain belt of Western Australia during each growing season. 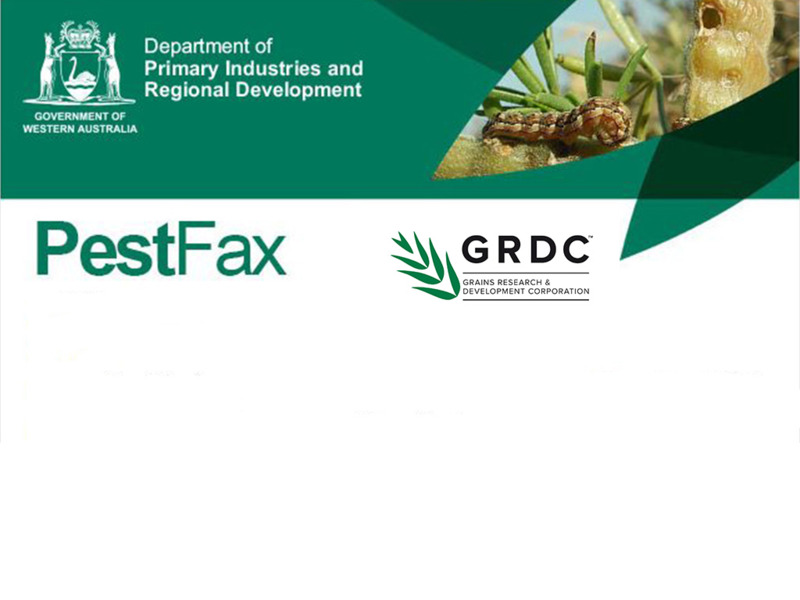 PestFax is co-funded by the Grains Research and Development Corporation (GRDC) under the National Pest Information Service project. Its editors welcome feedback and input from subscribers. Current and past issues of the PestFax newsletter can be viewed online. PestFax is an interactive service covering diseases and pests threatening crops and pastures throughout the grain belt of Western Australia. Regular news updates during the growing season provide farmers with advice on what plant diseases and insect pests are currently posing a risk to their crops and pastures. PestFax has been operating since 1996. A large network of farmers, field agronomists, consultants and industry specialists provide weekly input into PestFax. This interactive input ensures that the best diagnostic and control methods are recommended to farmers and industry. PestFax can be obtained by sending a request to PestFax@dpird.wa.gov.au for free subscription. PestFax encourages readers to contribute news and comment on all issues including localised or unusual pests and diseases in broadacre farming. To make a report send a message to PestFax@dpird.wa.gov.au or use the online PestFax Map to make an on-line report or use the PestFax reporter app. DPIRD's PestFax team is the WA service provider for the Grains Research and Development Corporation (GRDC) funded National Pest Information Service (NPIS) project. 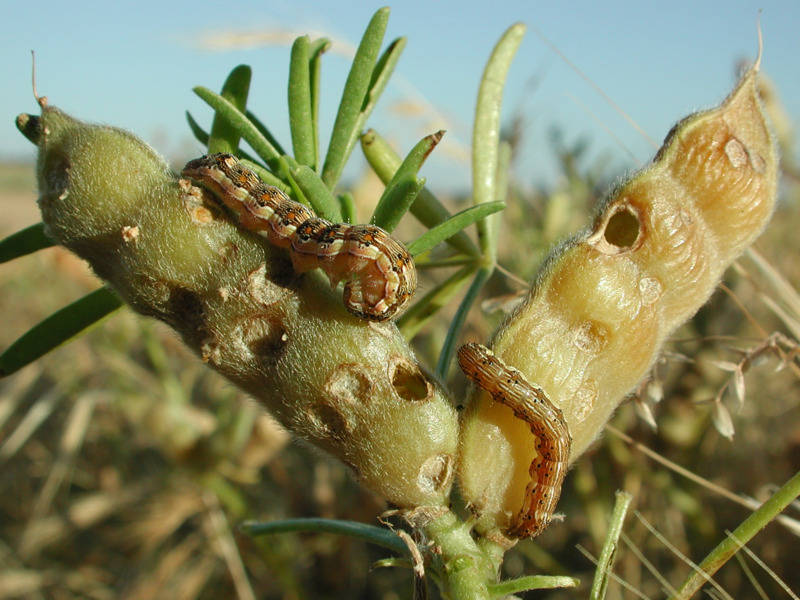 The NPIS project aims to provide timely and scientifically rigorous information and guidance to advisors, growers and other service providers on invertebrate pest identification, incursions and management in the main grain growing regions of Australia. Other project partners in the NPIS project include; Queensland Department of Agriculture and Fisheries (QDAF), cesar and South Australia Research and Development Institute. The PestFax map allows users to view maps of insect and disease reports over recent weeks and past years. It allows a review of the last 18 years of PestFax reports to compare seasonal variation between years, months or within any desired time period. You can now report crop pests, diseases, weeds or other damage directly from the paddock using the PestFax reporter app on your smart phone. For more information visit the PestFax reporter app page. Documents that summarise registered insecticides for canola, lupins and cereals are available in the documents section on this page or at the Insecticide spray guides for crops in Western Australia page. This book is a comprehensive resource manual for farmers and advisers covering basic taxonomy, important insect groups and identification keys, and descriptions of common species, as well as information on monitoring, integrated pest management (IPM) principles and biosecurity. To download the free manual visit GRDC’s Insects of Southern Australian Broadacre Farming Systems Identification Manual and Education Resource 2nd Edition. Having troubles identifying mites or other pests? Send in your digital pictures to the contacts below or send live specimens in a non-crushable plastic jar for free identification to Department of Primary Industries and Regional Development, 444 Albany Hwy, Albany WA 6330, attention to Svetlana Micic. Or you can also mail live specimens to Department of Primary Industries and Regional Development, 75 York Road, Northam WA 6401, attention to Dusty Severtson.